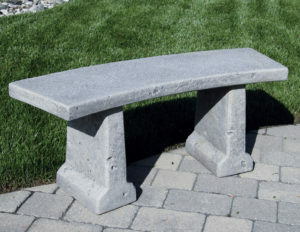 The Chelsea Curved bench would look perfect in any size outdoor area…made of concrete by Massarelli’s, this will last for years! 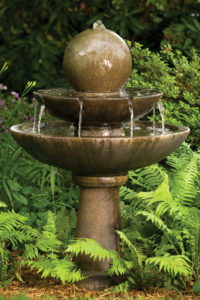 We have Massarelli Tranquility Sphere Spill Fountain at a fantastic price right now. Regularly $949, now only $649! Supplies are limited so don’t delay, come get yours! 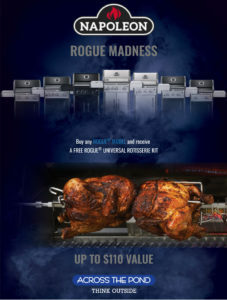 Go Rogue with Napoleon Grills! 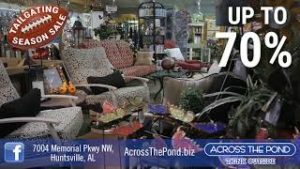 It’s time for Our Tailgating Season Sale – up to 70%off Outdoor Furniture, plus great prices on grills and accessories! 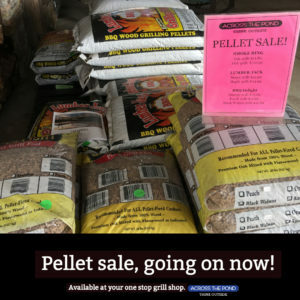 Pellet Sale going on now! Now is a great time to stock up on premium charcoal! 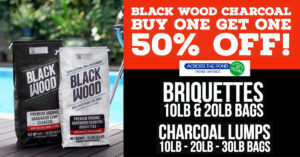 Black Wood Charcoal is on sale, buy one and get one at half price! The Briquettes are available in 10lb and 20 lb bags. The charcoal lumps come in 10lb, 20lb and 30lb bags. Professionals love Black Wood Charcoal! There are still HOURS and HOURS of perfect hammock time left this year! 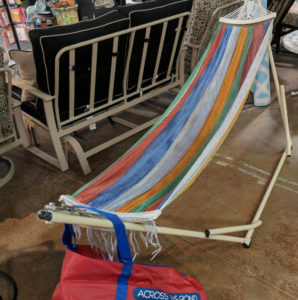 With a portable hammock, you can set up to snooze anywhere! 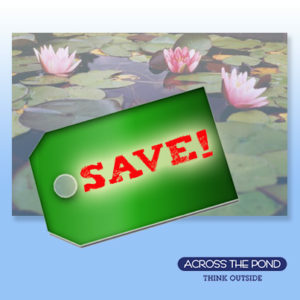 We are pleased to offer them for $99.99 for a limited time, so don’t miss out on one more hour of HAMMOCK TIME. We think you deserve it. © 2017 Across the pond. All Rights Reserved.